At Bob Oates Plumbing, Sewer, & Rooter we really care about our customers and the well-being of their plumbing and sewers. Having provided sewer maintenance and repair services to the greater Seattle area for nearly 20 years, we’ve seen countless scenarios in which a costly sewer repair job could have been easily avoided. Of course, we love to provide fantastic services for our customers regardless of what’s required out of the specific job, but it is frustrating to see our customers dealing with costly sewer repair when those costs could have been mitigated, or altogether avoided, had the customer just known a few simple things. So, to the sewers and drains across Seattle, we’re pulling for you! Hopefully with a few of the following tips, folks will be treating you with a little more care in the future! Grease is killer on your drains and sewers. After a while grease will collect and solidify causing blocks or ruptures in your sewer line, and BINGO, you’re going to need a professional to come out to assess and repair the broken line. Do yourself a favor and avoid putting grease, regardless if it’s hard or liquified, down your drains. It will almost always cause issues. If you like, you can install a grease receptor underneath your sink. Since grease is lighter than water, a receptor can trap grease while allowing water to flow freely to your sewer line. This is a good method of prevention, but the best thing to do is to avoid pouring grease down your pipes altogether. Wipe up the grease with a paper towel and throw it away, or what til it cools and scrape it into the trash before you do the dishes. If grease makes its way into your drain by some accident, pour a mixture of baking soda, vinegar and some extremely hot water down the drain to help clear it out. Let this be a lesson – toilets are not trash cans! The problem is that many tend to treat them like they are trash cans and flush all sorts of things that aren’t meant to be flushed! The only things are meant to go down the toilet are human waste and toilet paper, beyond that it’s trash! Sometimes when you flush something that isn’t meant to be flushed, you’ll clog your toilet and you’ll have to get out the plunger and get to work. 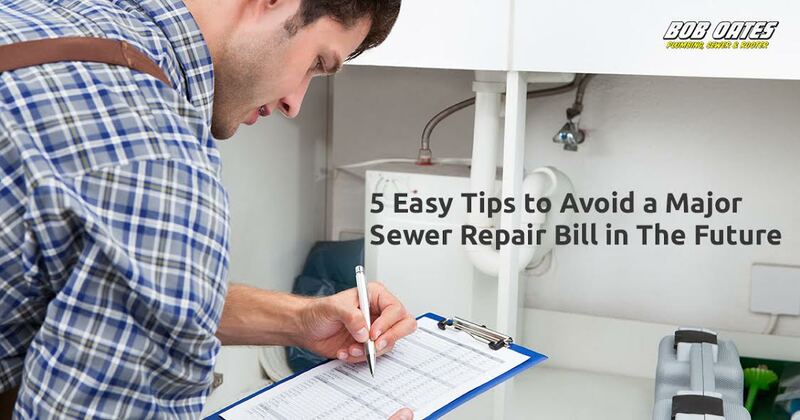 That’s the least of your worries, however, because what can happen with your sewer line is far worse. Items that aren’t meant to be flushed like wipes and other hygiene products can cause blockages in your sewer line that are much bigger hassle and far costlier than your typical toilet clog. Additional tip: avoid using a chemical declogger if you’re dealing with a particularly stubborn clog, they can cause more harm than good. Start with the plunger, and if that doesn’t work try running a wire hanger or a cable down the drain. Beyond that, your best option is to consult a professional plumber. A big component of sewer and drain maintenance comes down to cleaning. At Bob Oates plumbing, sewer, and rooter, drain cleaning is a big part of the services we provide to our customers. It comes as no surprise that overtime an uncleaned drain can lead to costly repairs. But, using a drain cleaner regularly can go along way to maintaining your drains and sewer lines in order to avoid said repairs. If you are going to frequently use a drain cleaner, make sure to use natural enzyme based cleaner. There are plenty of different cleaners available but we recommended an enzyme based cleaner as chemical cleaners often contain harsh chemicals that are harmful for your environment and your pipes. Remember, using a drain cleaner is for preventative maintenance and will do little to no good on a clog that you’re currently dealing with. Speaking of clogs, it’s crucial that you’re careful in how you deal with clogs. Take it from the experts, you should NEVER use a drain cleaner to fix a completely stopped block. And as we’ve already said, you should try and avoid a chemical drain cleaner at all costs – they aren’t good for your pipes and they aren’t good for the environment. Unfortunately, when it comes to a clogged drain or toilet, many people can get extremely desperate and try some fairly outlandish things to remedy it. The problem is that you’ll often do more damage than good, especially if you don’t know what you’re doing, and you’ll wind up with a much more expensive problem than you began with. The traditional methods of unclogging typically work fine. Hot water, vinegar, and baking soda is a great method of sink clogs, and a plunger should work for most toilet clogs. If you can’t deal with the clogs using one of these low tech methods, it’s time you call a professional. Without a doubt, the #1 way to maintain your pipes and avoid costly repairs is to have them inspected and cleaned regularly by a certified professional. You may think you know what you’re doing, but trust us, you’re better off at having your sewers cleaned and maintained by someone who actually does know what they’re doing. The professionals at Bob Oates Plumbing, Sewer, and Rooter, can help with you with each every aspect of your sewer line maintenance, from cleaning, to inspection, to repairs. We conduct video sewer inspections that allow us to immediately show you what’s wrong with your sewer line. In other instances, we may have to trench to diagnose and repair the issue. In some instances, we can utilize Nu-Flow Tech in order to repair your drains for a long lasting performance, without having to dig. Regardless of what’s required with your particular issue, we’ll work with you to find the most cost-effective, long term solution. 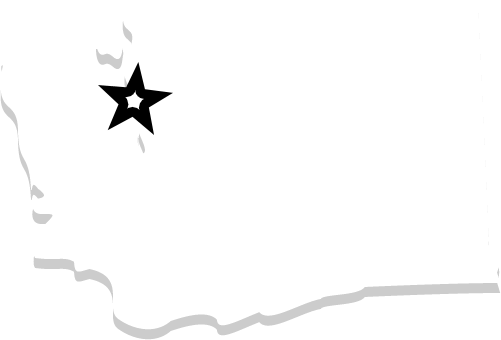 Bob Oates plumbing, Sewer, and Rooter has been servicing the greater Seattle area for nearly 20 years. We care about you and your home’s plumbing performance, which is why we’ve shared these tips with you. Hopefully, you now have the knowledge necessary to maintain your drains and sewers and avoid costly repairs in the future. If you’re interested in any of the ways Bob can help you with your plumbing and sewer needs, give us a call today.